Proposal extending from Master's thesis work in architecture, titled "The Diplomatic Envelope". A research into the various case studies within embassies where overlaps of legal principles with the physical and digital territories occur. This gray area emerging from the collision or overlap of legal jurisdiction, international law principle and the infrastructure, networks and physical spaces of the modern embassy can be described as a 'spatial product', borrowing a term by Keller Easterling. In which Easterling describes it as 'often the by-product of data and logistics', able to slither through jurisdictional shallows. Among those case studies includes that of Julian Assange. The Wikileaks co-founder is still currently seeking asylum at the Ecuador Embassy since June 19th, 2012. Using the argument under the '1948 Universal Declaration of Human Rights and Declaration of the Rights and Duties of Man', Mr Assange seeks to avoid detainment by the United Kingdom authority in trying to extradite him to Sweden. The manipulation of legal matters allows Julian Assange to seek refuge inside Ecuadors Embassy and it is interesting to note how Mr. Assange is using the authorities own legal procedures and protocols to re-define his territory. 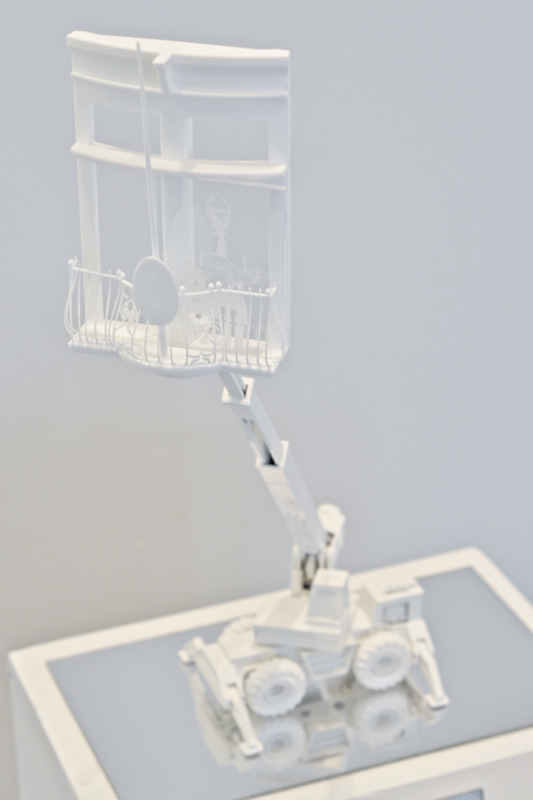 This proposed installation intended at a 1:1scale, wishes to utilize a fragment of the embassy as a tool for understanding a specific scenario. 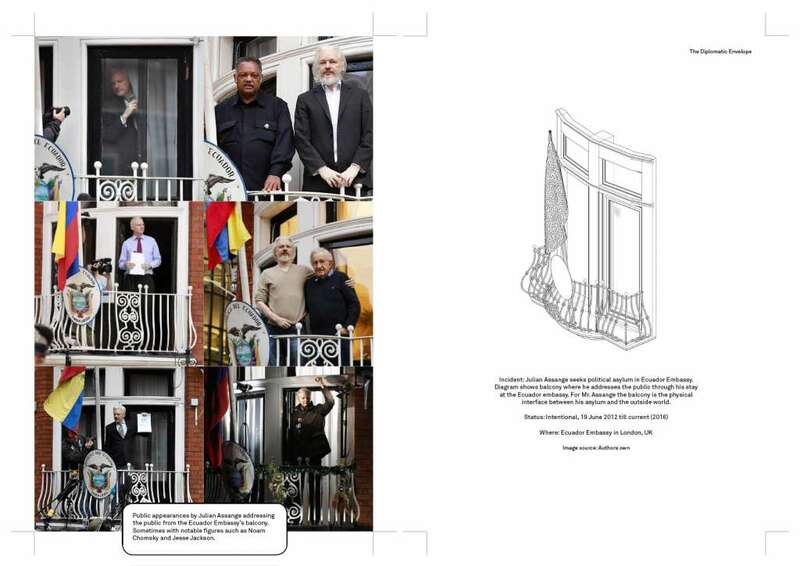 It is reproduction, a replica of the Ecuador Embassy’s balcony where Julian Assange made his appearance to the public from 2012 till now (2016). In doing so it is meant to displace the gravity of Assange’s situation (political/media circus/incarceration) and to focus on the architectural detail of the balcony as a stage. 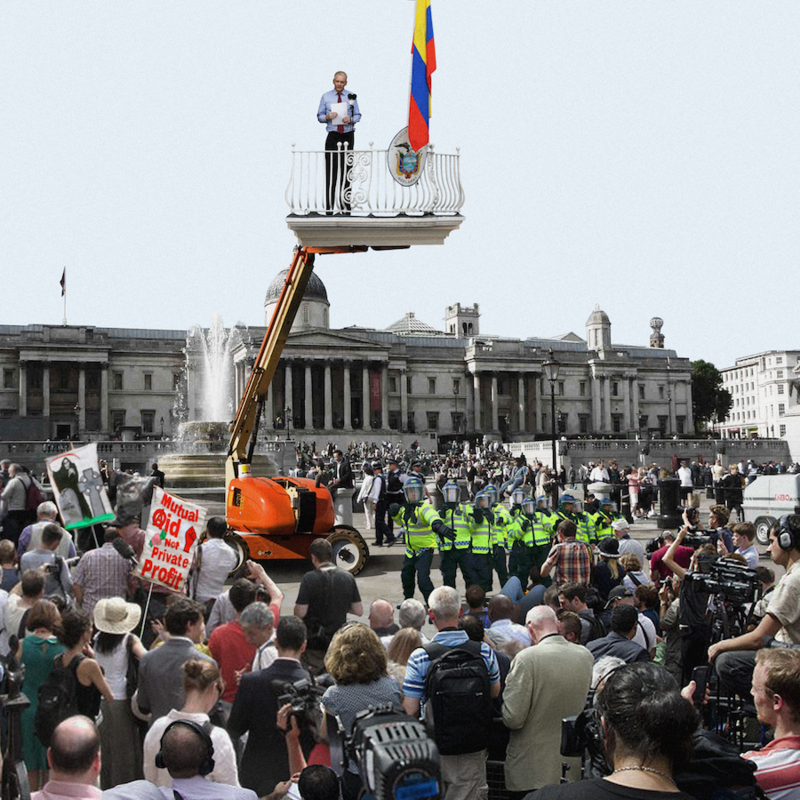 As an addition, the balcony is attached to a telescopic crane arm meant to Imagine a senario which the Ecuador Embassies balcony is mobile and Julian Assange would still be off-limits for detainment by the local authorities. A mobile sovereign island. By staging this, it is hoped it could demonstrate the importance of embassy design through something as simple as a balcony detail. Raising speculations on what if certain dimensions of the balcony were different for example. Say if the balcony was cantilevered out more, how would this change the stage of Assange’s public appearance and it’s subsequently effect on the whole spectacle ?